Now that another tax season is upon us, there’s plenty to know as we get ready to prepare our own returns. One of the most overlooked areas of tax preparation is tax credits. There’s much discussion about tax deductions but far less in the equally important area of tax credits. You can learn how to use tax credits to lower your tax liability. Let’s tackle tax credits today, at least as a general overview. In fact, general is how I like to approach any and all discussions of tax related matters. There are too many nuances connected with everyone’s individual tax situations to be able to come close to any discussions that can even remotely be termed as “comprehensive”. With that in mind, let’s discuss tax credits as a loose topic, with the understanding that not all tax matters will apply in everyone’s case, and never to the same degree. 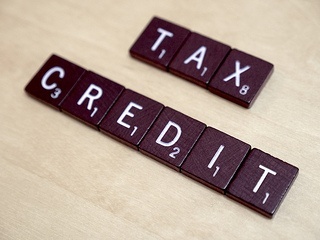 A tax credit represents a direct reduction in your income tax liability. The credit is directly applied against the liability, and can be either refundable or non-refundable. A refundable credit is one that can create an income tax refund, even if you have no income tax liability before the application of the credit. A non-refundable credit can be used only to reduce the amount of your tax liability. If you owe no tax, either the tax credit is lost or, in some cases, it can be carried forward to future tax years. Taxpayers sometimes confuse tax credits and tax deductions, perhaps because each has the potential to lower your overall tax liability. But while tax credits are a direct reduction in your tax liability (and can sometimes create a refund where none is otherwise due), tax deductions instead reduce your taxable income. For example, if you itemize your personal deductions on Schedule A, those deductions will reduce your taxable income. Your taxes will be reduced since they are calculated based on the lower income that results from the deductions. Business deductions function the same way, reducing your gross income and lowering your tax liability in the process. One more important point in regard to tax credits vs. tax deductions – you can generally take tax credits even if you don’t itemize your deductions. This can make tax credits even more important to non-itemizers. Child credit. This is a credit available for parents of children who are under the age of 17 at the end of the qualifying tax year. The credit is up to $1,000 per qualifying child, and represents a dollar-for-dollar reduction in your tax liability. There are income limits on this credit, as it is aimed at low- to middle-income households, but it is one of the most generous credits available to households with dependent children. Child an dependent care credit. This is also for households with dependent children, but applies specifically to children for whom childcare is necessary. The credit can be up to $3,000 of the child’s eligible dependent care expenses, and the child must be under age 13. Earned income credit (EIC). This is another credit aimed at lowering the tax liability for working families, especially those with dependent children. There are income limits, but the credit can be generous if you fall into the lower end of the income scale. Retirement savings contribution credit. This is an often overlooked tax credit. It’s a non-refundable tax credit for up to 50% for up to $2,000 in contributions to a qualified retirement plan, such as an IRA, 401(k) or 403(b) plan. Income thresholds are low for this credit, but it may still be worth checking out. Payroll processor ADP.com notes that there are 3,000 Federal and State incentives available, but 50% go unclaimed. Some of those incentives are tax credits, and yes, much of the time they’re ignored. Work Opportunity Tax Credit (WOTC). This credit was designed as an incentives for employers to hire or retrain employees based on targeted groups, which includes social assistance recipients, veterans, and qualified youth. The tax credit can be up to $2,400 per eligible employee during that employees first year of service to your company. Welfare to Work (WtW). The WtW is actually a credit within the WOTC above. It is available for eligible employees in their first two years of employment, and provides an incentive for employers to hire and retrain employees who are long-term welfare recipients, defined as at least 18 months consecutively. Research and development credit. Established in 1981, the R&D credit is a reduction in taxes for businesses engaged primarily in manufacturing ventures. It makes billions of dollars available to companies engaged in qualifying research. New Markets credit. This credit is an incentive for investors to make equity investments in certain Community Development Entities that invest in low income communities. The credit equal to 39 percent of the investment payout, and claimed over a period of seven years. The primary purpose of the community development entity must be investing in low income communities and people. Specific state tax credits and other tax incentives. The federal government is not alone in using tax credits as a way to provide incentives for certain types of business investment activity. Each of the 50 states also have their own unique tax credits aimed at providing similar outcomes. Knowing what they are, particularly if you are a multi-state business entity, is a specialization all its own. That’s just a sampling of the tax credits that are available for both individuals and businesses. The amount of income tax reduction they can provide can be substantial, particularly if you’re able to take advantage of multiple tax credits. Do some investigating, and look into the possibilities. If you need professional help finding and implementing some of these credits, it will likely be money well spent.